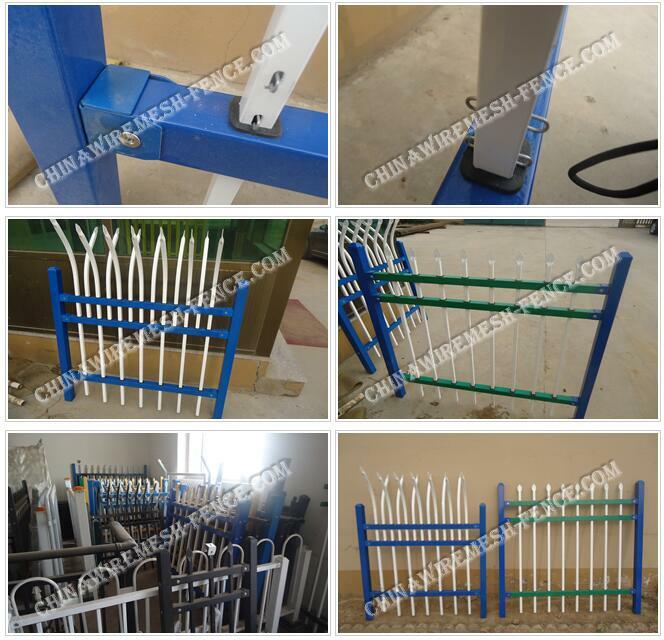 Galvanized Steel Fence - Buy Galvanized Steel Fence Product on Anping Pengming Hardware Mesh Co.,Ltd. Pengming's Galvanized Steel Fence provides an aesthetically pleasing yet permanent barrier. Select from the many panels designs (listed below) that come in both square and rectangular patterns. Each fence panel is produced by an automatic electrofusion process. Pengming's Galvanized Steel Fence provides an aesthetically pleasing yet permanent barrier. Select from the many panels designs (listed below) that come in both square and rectangular patterns. Each fence panel is produced by an automatic electrofusion process. The simple, clean lines are particularly suitable for both prestige and high security applications including residential, sports, leisure, industrial and military. The hot dip galvanizing may leave rough areas on the treated surface, although its does not impair the coatingâ€™s corrosion resistance. The galvanized fence is then powder coated with one of 15 different colors for an â€œextraâ€ touch of appeal and harmonizing with its surroundings. 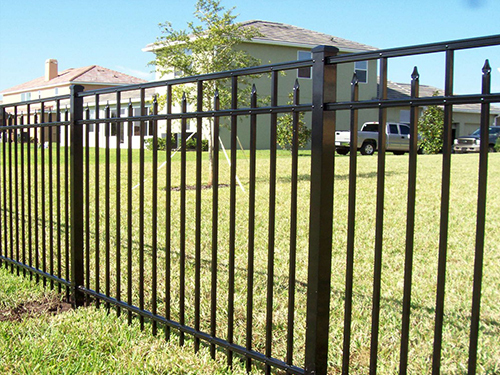 For jobs where a smooth surface is required, see Ametcoâ€™s aluminum fence or stainless steel fence and gates products.